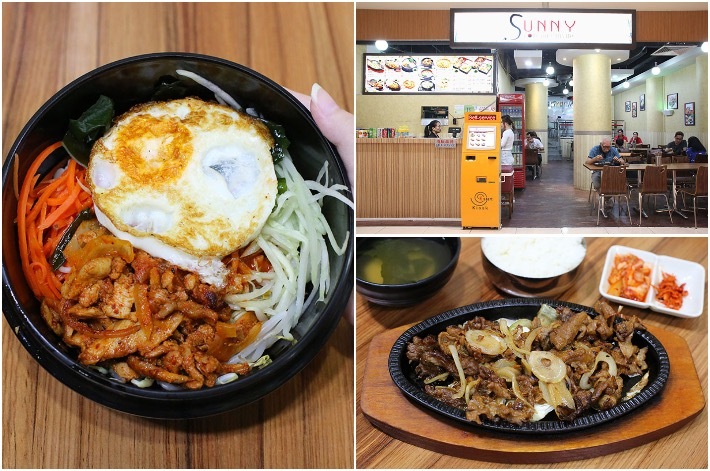 While we are on our journey to find the more affordable Korean eateries in Singapore, there were many hits and misses and we are glad to say that Sunny Korean Cuisine is one of the better ones we have tried so far. 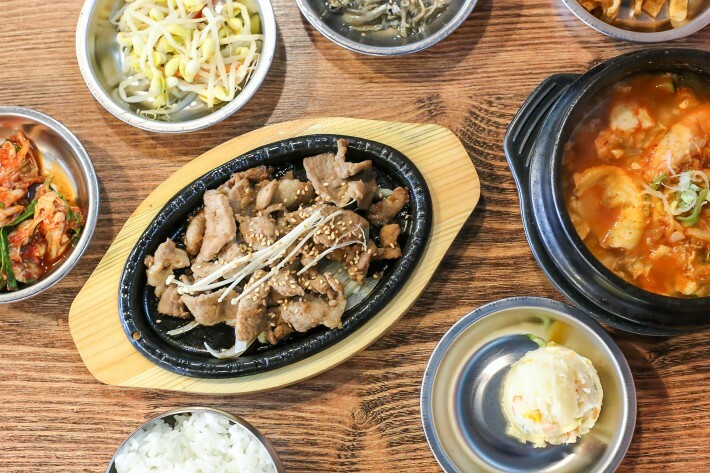 One casual Korean eatery in the Dhoby Ghaut area where you can get Korea homestyle cooking minus the frills (and service charge) is Ajumma’s. 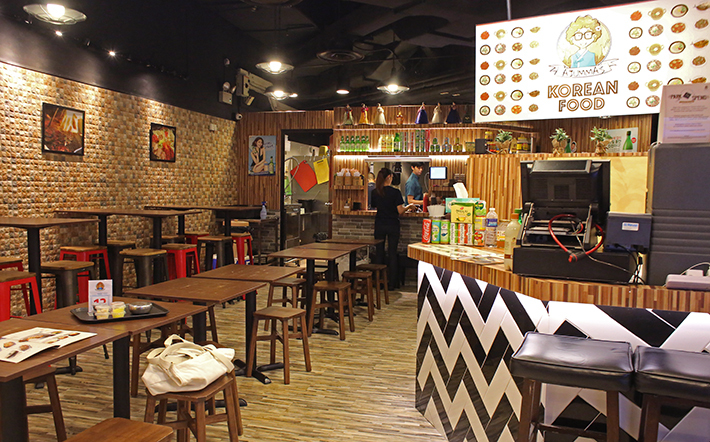 Hidden at a corner of The Cathay’s basement, we got to know of this place by word-of-mouth recommendations. 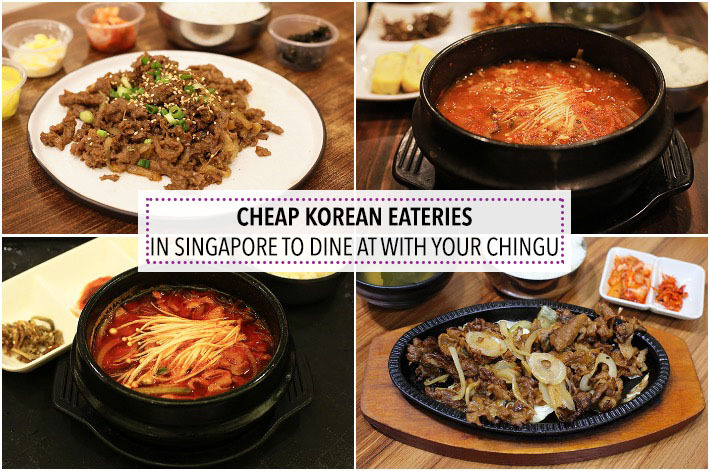 Diners can find many classic Korean main dishes that are below S$10. Have a meal here before or after a movie or pop by during your lunch break. 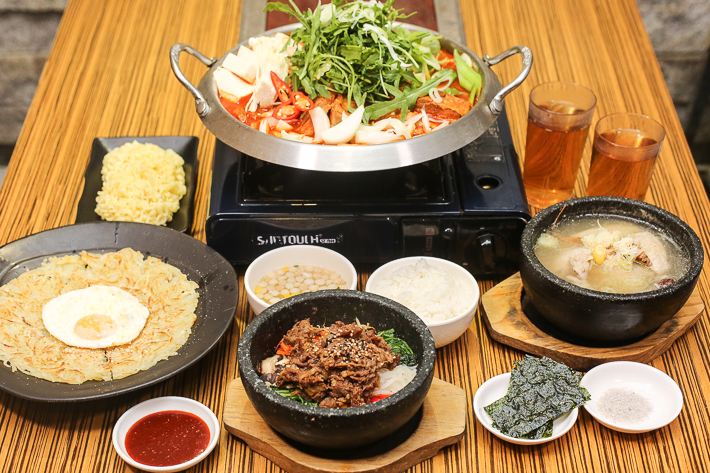 Seoul Jjimdak is our go-to Korean restaurant in Singapore for Budae Jjigae and authentic Chicken Jjjimdak. 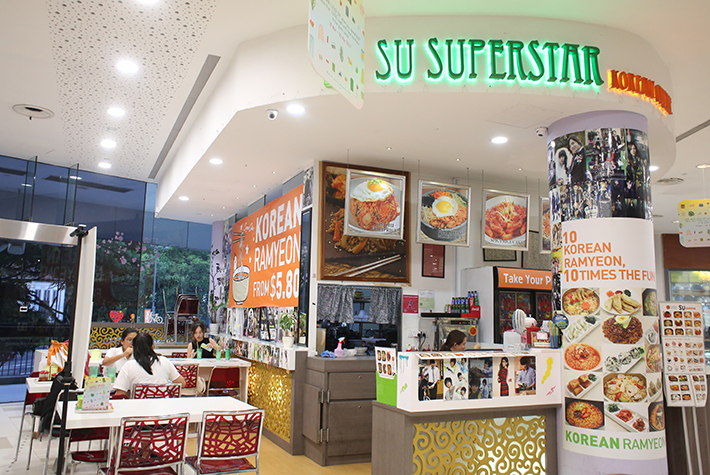 One visit is not enough, and so, we’ve made multiple visits to this humble eatery at City Square Mall because hearty Korean stew always wins our hearts. 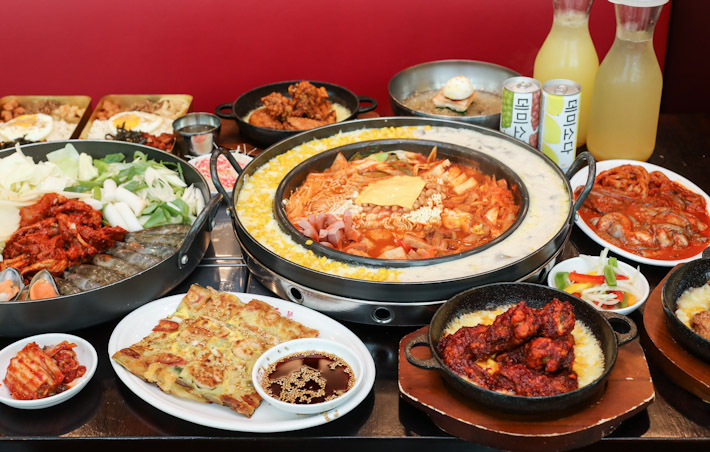 And now, Seoul Jjimdak is having a daily lunch special that gives you even more reason to head down—S$29.90 for a huge pot of Budae Jjigae or Jjimdak, and this special price is also applicable on weekends. How does that sound?